Dean Ellis Kohler comment: I was taking guitar lessons at Tony Saks Studio in Portsmouth, Virginia in early fall of 1963. Mr & Mrs Sax returned from a vacation in England with Mr Saks going bonkers about a group he saw over there called The Beatles. A few weeks later he found that they were going to be on the Ed Sullivan Show sometime after the first of the year. 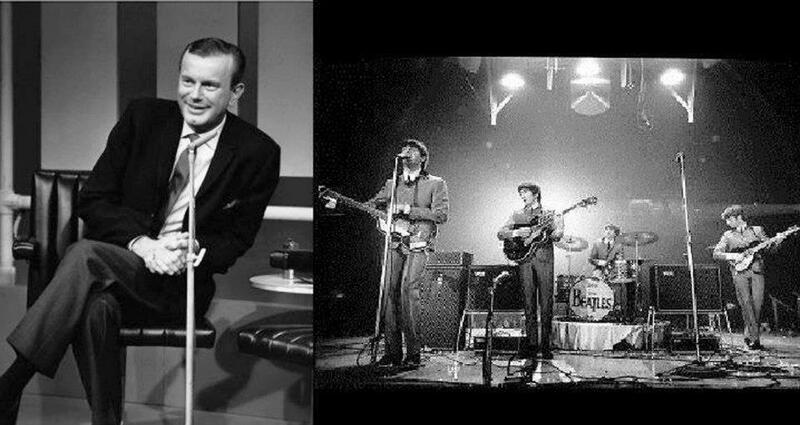 Mr Saks made a phone call to his friend – the President of Rickenbacker Guitars – to ask if he (Mr Saks) could meet The Beatles at the Sullivan Show as a rep from Rickenbacker and bring John Lennon a Ric 325 guitar. The deal was made and Mr Saks took the guitar to John Lennon before the performance. He also brought a blonde Ric 330 and had each of the Beatles sign it in gold leaf. Lots of pictures were taken with Mr & Mrs Saks with The Beatles. After that, every week when I went for my guitar lesson, I saw that signed Rickenbacker displayed in a showcase. When Mr Saks passed in 1987, I called his daughter to see if she would sell me the Beatles guitar. She wanted $29,000. I spent two weeks thinking about it and when I called to tell her that I would buy it… it was already sold. It is the only guitar signed by all four Beatles. Sotheby’s sold it at auction 15 or so years ago to an “undisclosed buyer” for 10.2M.